Queen Seonduk was Korea’s first female ruler, and one of only three ruling queens in the nation’s history. A determined leader who was also a keen diplomat, she used her skills to protect her land while paving the way for the unification of Korea. The ancient Korean kingdom of Silla had always been ruled by men, but King Jinpyeong (born around 567 CE) and his queen Maya only had daughters. King Jinpyeong took a second queen, but she also failed to bear a male heir. At the time, the kingdom of Silla used the royal lineage system of bone ranking, which meant that heirs had to be “of the sacred bone”—born to two parents of royal rank. The king’s concubines bore him sons, but since they were not considered to be “of the sacred bone,” they couldn’t ascend to the throne. The status of women in seventh century Silla society was better than that of women in many contemporary kingdoms: Silla’s women often headed families and controlled money, and descent could be traced through matrilineal or patrilineal lines. Women could also inherit property, learn trades, and work alongside men. Still, many occupations were not considered appropriate for women, and that included ruling a country. While women had ruled the kingdom as queen dowagers or as regents for their sons, no woman had reigned in her own right. The king briefly considered revising the sacred bone requirements, but ultimately designated Princess Deokman, born circa 606 CE, as his heir. Although she was a woman, she was songgeal, meaning she was of the sacred bone. When King Jinpyeong died in 632 CE, the 26-year-old princess, his eldest daughter, became the nation’s first queen, taking the name Seonduk. Korean folklore includes several stories about Princess Deokman’s intelligence and early analytical skills. One tale demonstrating her ability at age 7 featured her receiving a box of peony seeds from the Emperor Taizong of China’s Tang Dynasty. The seeds arrived with a painting of the lush flower. The young princess is said to have remarked that it was a pity that so beautiful a flower had no scent. When people asked how she could tell, she said there were no butterflies and bees portrayed in the painting, which proved their lack of scent. Whether the story is true or palace PR promoted to dispel grumbling about a female ruler, Seonduk did prove to be an intelligent queen. She helped her country survive in difficult and violent times, facing challenges from within and without, and she supported both the arts and sciences. During Seonduk’s reign there were multiple battles between the Three Kingdoms of what is now Korea. Silla, Baekje, and Goguryeo did not formally unite until 668, more than 20 years after the queen’s death, but Seonduk laid the foundation through diplomacy and by arranging marriages between members of her family and the royal families of her rivals. 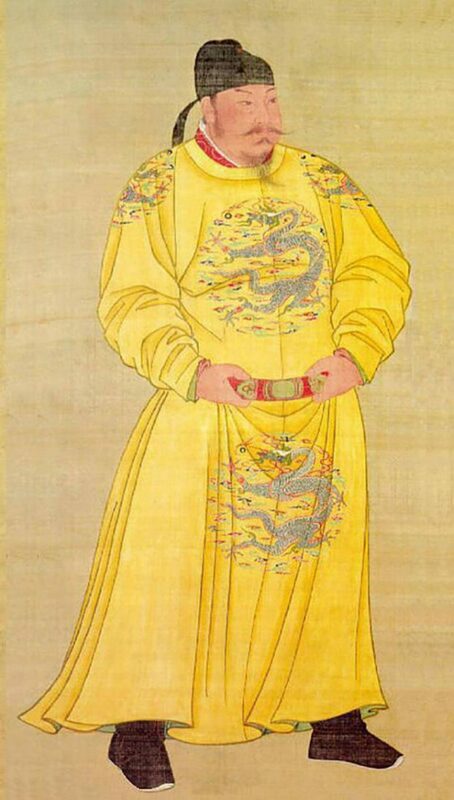 She also fortified her country by allying with powerful neighbors such as China’s Tang Dynasty. As the female commander of the Hwarang, a group of elite male military soldiers, she dispatched them to China to study martial arts. She also sent scholars to China to learn more about astronomy and Chinese culture. By strengthening diplomatic relations, she was better able to defend her country against the rival kingdoms. Seonduk’s interest in Chinese culture also led her to study Buddhism, which was still relatively obscure in Silla. 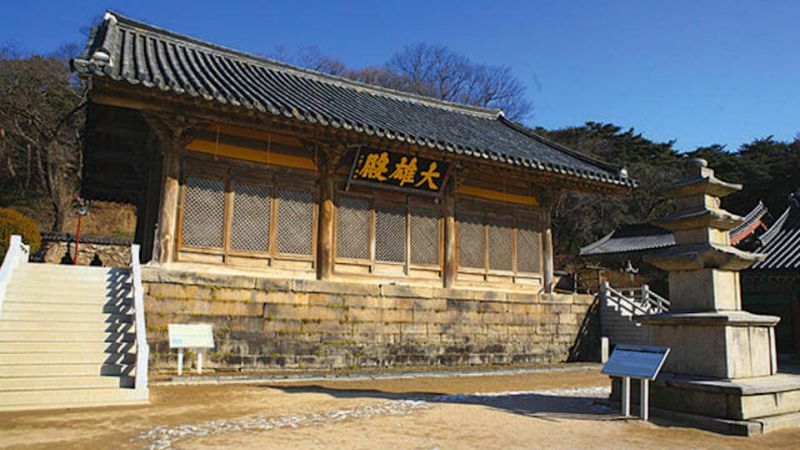 Under her reign, several Buddhist temples were built in Silla, including the Seondeoksa Temple, named after her, and the Bunhwangsa, Mangwolsa, Namyang, and Bomunsa temples. The queen even became an ordained Buddhist nun. At a time when shamanistic rituals usually governed the timing of crop planting, Seonduk’s interest in Chinese astronomy led to her build an observatory to better predict when crops should be planted. 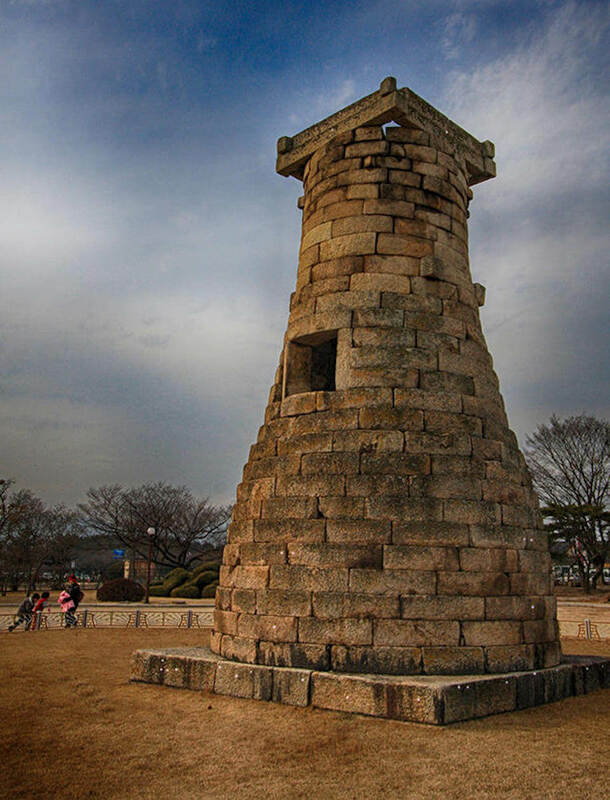 Cheomseongdae, or Star Gazing Tower, is considered by some to be the world’s oldest surviving astronomical observatory, although no records exist about exactly how it was used. Besides protecting her country from outside enemies, Seonduk also coped with more than one rebellion. The most noteworthy took place when a nobleman named Bidam tried to overthrow Seonduk, saying a woman should not rule the country. His coup was short-lived. According to historical records known as the Samguk Sagi [PDF], Bidam and his supporters were captured in 10 days. The Samguk Yusa, a collection of legends about the Three Kingdoms, says Seonduk reportedly married a man named Galmunwang Eum, but he is never mentioned elsewhere. She also did not have any children. Perhaps, like England’s Queen Elizabeth I, she was reluctant to share her power. Under Seonduk’s reign, the kingdom prospered and grew. In the book Silla’s Golden Kingdom, written to coincide with the 2013-14 Metropolitan Museum of Art exhibit of the same name, author So Young Lee talked about the kingdom’s “intricately crafted ornaments, many in resplendent gold,” and the creation of prominent Buddhist temples. The exhibit contained examples of Silla’s wealth, including statues, paintings, glazed pottery, jeweled daggers, colored glass cups, and finely crafted jewelry. Seonduk’s reign was such a success that a subsequent queen had no problem claiming the throne. Before her death, Seonduk named her successor, her cousin Kim Seung Man, who became Queen Jindeok. In the following years, Seonduk’s vision of a united Korea was realized when the Three Kingdoms became one, and the system of the “sacred bone” was ended with Queen Jindeok’s successor, King Muyeol. Although the sacred bone system had finally proved unworkable, it’s fortunate that it provided the excuse for one of Korea’s most memorable rulers to reign.